A crackpot Cold Warrior is hitting new lows, trading in anti-American and anti-Semitic conspiracy stories in an attempt to protect an enemy he himself helpled to create--Islamist Iran. 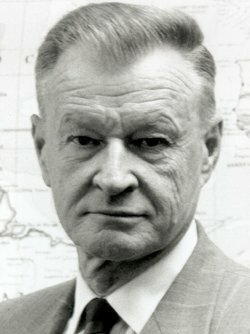 Former National Security Advisor Zbigniew Brzezinski is warning Washington insiders and reporters and sympathetic academicians that a so-called false-flag operation, or staged provocation--such as a terrorist attack in the United States or an attack on US forces in Iraq--could be used to justify starting a war with Iran. The Polish-American political scientist, who served under President Jimmy Carter from 1977 to 1981, says that the embattled Bush administration might resort to such a deed; but he strongly suggests that Israel could also be plotting an incident, with or without US approval. The 79-year-old Brzezinski is a veteran and increasingly vocal Israel-basher. He has defended Carter's new book, Palestine: Peace Not Apartheid, which likens Israeli policies in the Palestinian territories to the former policy of apartheid in South Africa. Brzezinski began floating his false-flag scenario more than a month ago, but he only took it public last week in testimony before the Senate Foreign Relations Committee that the mainstream media has largely ignored, partly out of embarrassment and partly in deference to Brzezinski's old boss, Carter, whom liberal pundits and editors nowadays adore. Ironically, it was Brzezinski who was responsible for helping to topple Iran's pro-US Shah, whom the US had installed, with British assistance, in a 1953 coup that ousted the Soviet leaning Iranian prime minister, Mohammed Mossadegh. While outwardly expressing support for the Shah, Brzezinski secretly worked to forge an alliance with the followers of the Ayatollah Ruhollah Khomeini. The policy paralleled covert US arming and training of Afghanistan's mujahideen--before the Soviet invasion in 1980. In a January 1998 interview with the Paris publication Le Nouvel Observateur, Brzezinski bragged: "According to the official version of history, CIA aid to the mujahadeen began during 1980, that is to say, after the Soviet army invaded Afghanistan, 24 Dec 1979. But the reality, secretly guarded until now, is completely otherwise. Indeed, it was July 3, 1979 that President Carter signed the first directive for secret aid to the opponents of the pro-Soviet regime in Kabul. And that very day, I wrote a note to the president in which I explained to him that in my opinion this aid was going to induce a Soviet military intervention." By the time Brzezinski sat for the interview, the Taliban has already taken power in Afghanistan and had allowed Al Qaeda to establish its terrorist base there. "What is most important to the history of the world? The Taliban or the collapse of the Soviet empire? Some stirred-up Moslems or the liberation of Central Europe and the end of the Cold War?"